Gather your extended family and your entire guest list for your fancy end of the year party when you send out personalized Paper Tree Postcards. With space to upload three of your own images on a beautiful background with a little white Christmas tree, you can send out tidings and good cheer along with sponsor logos or pictures of featured guests. 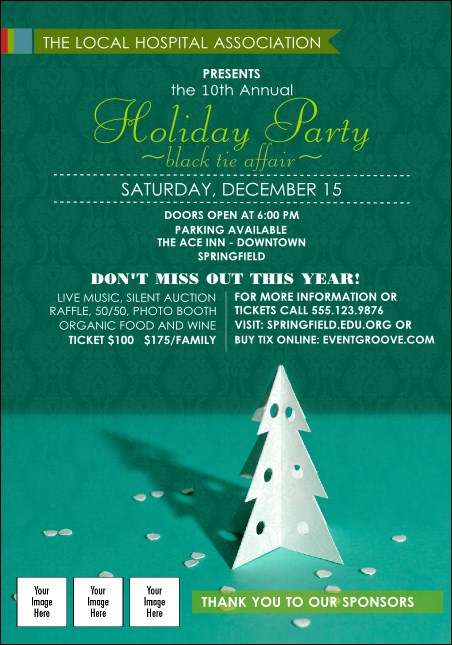 Great pre-event advertising is part of our holiday tradition at TicketPrinting.com.